Here’s the skinny on hardware. 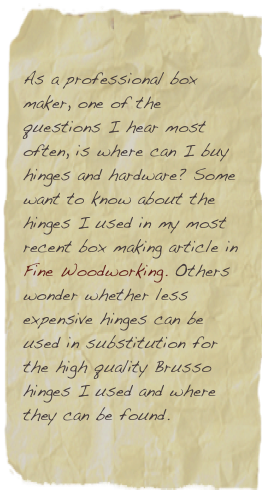 Some of the best suppliers are listed with links at right, and each link will carry you directly to the hinges used in the Fine Woodworking article. 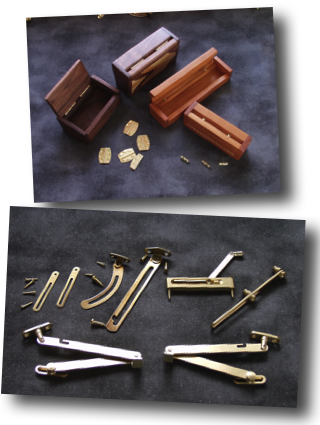 When making a box of a new design, I always start with the hardware in hand first so I can be sure to take into consideration the requirements for its use. How long are the screws? Their length can have direct impact on the thickness of your box sides even before the first board is cut. Starting the box before you’ve selected your hardware is the box maker’s equivalent to paining oneself in a corner. Don’t overlook the opportunity to make your own hardware. 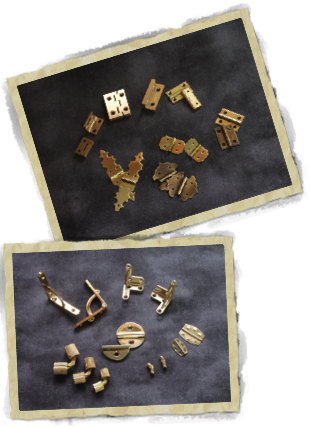 My Complete Illustrated Guide to Box Making shows how to make your own rustic hardware from scrap metal, and my book Basic Box Making illustrates methods for making your own interesting hinges from wood or leather.